1 tsp of tamarind soaked in half cup of water for 10 minutes. Take oil in pan and let it get hot . Put mustard seeds let it splutter followed by jeera seeds , ground nuts . Put onion ,Let onion get light brown . Thrown in green chillies and immedietly turn rice over the pot . Mix everything nicely and strain and pour tamarind water over rice , close the lid and let rice cook . If rice is not done sprinkle some more water. 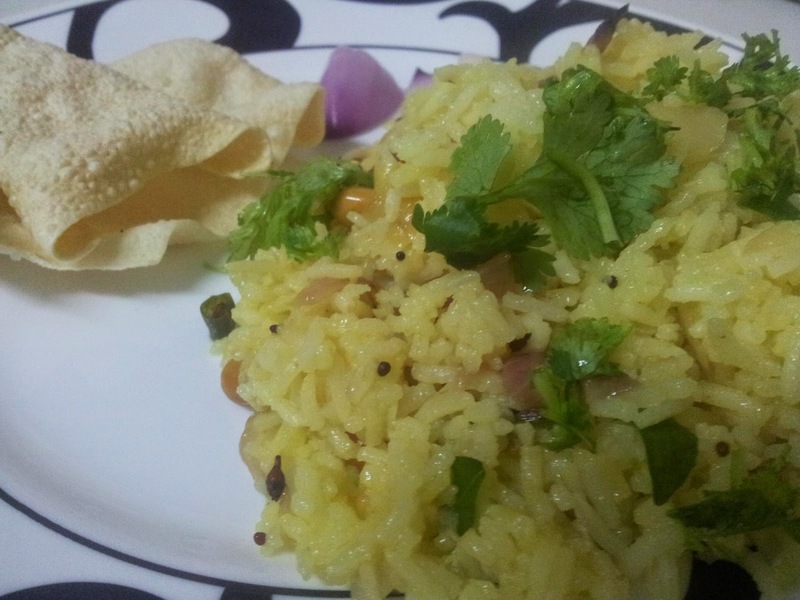 Garnish with coriander leaves and serve with your choice of pickle and fried papad .